Sarah graduated from Queen's University with a degree in Biology and went on to study at the Ontario Veterinary College. After graduating with her Doctor of Veterinary Medicine in 2003, she started her career in a busy small animal practice in Kingston. Sarah joined a practice north of town in 2008 before taking a break to begin her family. Her local experience also includes work at the local emergency after-hours hospital and teaching for the Veterinary Technology Program at St. Lawrence College. In addition to annual continuing education at various conferences throughout North America, Sarah has completed courses in both laser surgery and endoscopy. Special interests include dermatology, internal medicine and promoting the human animal bond. In her spare time she enjoys being outdoors and on the water, reading, cooking (or more commonly watching her husband cook), and spending time with her three furry and two non-furry kids. Hillary graduated from McMaster University with a degree in Biochemistry and then continued her studies at the Ontario Veterinary College. Upon graduating with her Doctor of Veterinary Medicine in 2015, she began her career as a mixed animal veterinarian in a large practice south of Ottawa. Deciding to focus on companion animals exclusively, Hillary is joining our team at Lakeshore Animal Hospital, just half an hour from her hometown. 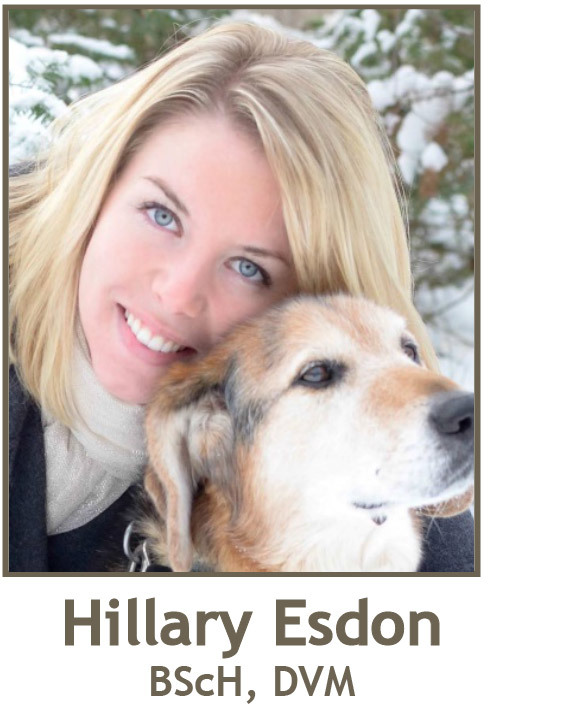 With roots in this community already, Hillary’s formal education involved rotations at the regional emergency after-hours hospital and at the Kingston Humane Society. She places a high value on continuing education, participating in conferences and seminars throughout North America at every opportunity. Special interests include behaviour, nutrition, internal medicine and surgery. In her spare time, Hillary can be found running, practicing yoga, exploring the great outdoors, volunteering with veterinary outreach groups and spending time with her two dogs and two cats. Katie McDonald graduated from the Veterinary Technologist program at St. Lawrence College in 2007. After graduation she wrote her registration exam and began working in a local veterinary clinic as a Registered Veterinary Technologist. Katie has also spent time working in a research facility, as well as a part time position at the veterinary emergency facility in Kingston. Now Katie is a full time RVT at Lakeshore Animal Hospital and couldn’t be happier. Katie’s main interests at work include anesthesia, emergency medicine, and working in the laboratory. In her off time you will find Katie at home with her boyfriend and cats, either with her nose in a book or outside jet skiing or 4-wheeling. 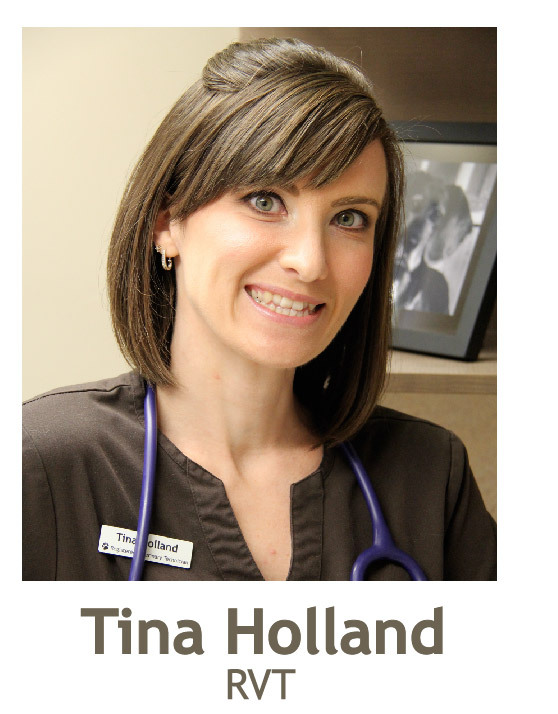 Tina moved to Kingston (from her hometown an hour East) after completing high school to enroll in the Veterinary Assistant Program at St. Lawrence College in 2001. Upon completion of the program, she decided to further her career in the veterinary field and graduated from the Veterinary Technology Diploma program in 2005. She secured a job as a Registered Veterinary Technician in a busy small animal practice North of the city where she worked for 4 years before starting a family. Shortly after her return, she decided that an employment opportunity closer to home would be best for her and her family and she was happily welcomed at Lakeshore Animal Hospital in August 2010. Tina has always been an animal lover, and to those that know her well it was no surprise that she found her niche in the veterinary field. In her spare time Tina enjoys spending time with her husband, son, daughter, 3 “fur babies” and whenever the moment presents itself, painting, drawing and being creative. Emily has been living in Kingston for the past 16 years, after having moved here from Ottawa. She recently completed the Veterinary Technology Program at St. Lawrence College. During her time in Kingston, Emily worked as a member of the Fort Henry Guard for seven summers, ending her tenor there as Guard Captain. Previously, she attended Wilfred Laurier University in Waterloo and received a Bachelor of Arts in History. Although history is a true interest of hers, her real passion has always been for animals, and so she returned to Kingston to pursue the Veterinary Technician field. In her spare time, she loves watching movies, spending time with her friends and playing with the family West Highland Terrier, Paisley!